Another justification for my tea habit. Here is a great article about why canola oil may not be the panacea that many people think it is. Yet one more example of how the traditional oils like butter and coconut oil, naturally high in heart-healthy saturated fat (did you know that our heart needs this? ), have been demonized by those who make money from the consumption of manufactured, poly-unsaturated oils, while these "new-fangled" oils have been promoted as the "answer to all our problems," health-wise. Has anyone stopped to think that many of the health problems we are now trying to solve did not exist before these "new" oils appeared on the market in the first place? Canola Oil: The Good, the Bad and The Ugly: (NaturalNews) Corn oil comes from corn: sunflower oil from sunflowers, sesame oil from sesame seeds, peanut oil from peanuts, olive oil from olives, Canola oil from...Canolas? What is a Canola? And why is the word "Canola" capitalized? Canola oil is marketed as an oil very low in saturated fat and high in monounsaturated fat. Diets high in saturated fats have been blamed for the incidence of higher levels of heart disease (although recent research is supporting the value of select saturated fats such as grass-fed beef and organic butter.) Studies involving a traditional Mediterranean diet which is naturally high in monounsaturated fats are pointing to lower rates of both cancer and heart disease. Canola oil also possesses a beneficial omega-3 fatty acid profile. Recent research touts the myriad benefits of omega-3's. Polyunsaturated oils have recently come under increased scrutiny. Yet, studies involving olive oil, a monounsaturated oil, point to positive health benefits and disease prevention. Being that Canola oil is a monounsaturated oil, this may make Canola oil superior to other polyunsaturated oils such as sunflower, corn, and safflower oil. Canola oil is, for the most part, tasteless, -- making it a good choice for baked goods. Canola oil took the market by storm, as it is relatively inexpensive to produce, especially compared to olive oil. Olive oil has a long history of scientifically documented health benefits. The problem with olive oil is that there is not enough olive oil in the world to meet the industry's needs. In addition, olive oil is too expensive to use in most processed foods. Canola oil has filled this need for a mass-produced, publicly acceptable form of a monounsaturated oil. In addition to the genetic modification, the process of making Canola oil is troubling. The procedure involves a combination of high-temperature mechanical pressing and solvent extract, usually using hexane. Hexane! Even after considerable refining, traces of the solvent remain. Like most vegetable oils, Canola oil also goes through the process of bleaching, degumming, deodorizing, and caustic refining, at very high temperatures. This process can alter the omega-3 content in the oil, and in certain conditions bring the trans fat level as high as 40 percent. It is becoming increasingly difficult to find products that do not contain Canola oil. A popular "crafty" mayonnaise brand boasts the phrase "With Olive Oil," along with a picture of an olive and olive leaves on the front label. Upon reading the fine print in the ingredients on the back label, you discover that Canola oil is listed at the top of the long paragraph, olive oil near the end. Even worse are products promoting that they are made with olive oil, yet listed in the ingredients, the manufacturers state: "May include olive, Canola, or sunflower oil." The consumer thinks they are buying salad dressing made with olive oil, yet it could be Canola or sunflower oil. This is insulting to the health conscious population. Canola oil is victim to both hype and hoax. To view both the hype and the hoax, visit Snopes.com and type in: "Canola Oil." At least the FDA has taken a stance to protect babies from the unknown risks of Canola oil. The FDA prohibits Canola oil from being used in infant formula. Shouldn't we know why? Part 2 of the "Make It From Scratch" series. Basic kitchen essentials for whole food cooking. I should have known that any friend of Colleen's would be wonderful. I should have been prepared. I should have known that two friends of hers would be twice as wonderful. Yet, somehow, I was still caught by surprise. Mindy and Cheryl showed up at my door at 10:30 last night, road-worn, but not too much--because somehow we managed to stay up talking until 1:30 a.m! I had never met them before, my only previous experience having been seeing their names on comments on Colleen's blog. But Colleen is one of those types of girls that when you know her, you would do anything for her, so when she asked me to host her friends as they were passing through, of course I said yes. When they came last night, they were Colleen's friends. When they left this morning, they were my friends, too. Thank you, Lord, for the love you give that binds us together in unity. A four-year study has found that tea slows down brain-cell degeneration, and thereby keeps your mind sharp into old age. Catechins, a natural compound in tea, protect brain cells from damaging protein build-up over the years, maintaining your brain's cognitive capability. In addition, the caffeine in tea, unlike that in coffee, contains the natural protein theanine, which counters the normal side effects of caffeine such as raised blood pressure, headaches and tiredness. Researchers studied the tea-drinking habits of over 2,500 Chinese aged 55 and older and gave them memory tests. While two-thirds of the tea-drinkers maintained their memory test scores two years later, 35 percent of non-tea-drinkers had a decline in their memory test scores, which indicates cognitive decline. This article is reprinted here in full from Newstarget.com. Vaccines Exposed: A Hidden Crime Against Our Children: NewsTarget) "The greatest lie ever told is that vaccines are safe and effective," said Dr. Len Horowitz. I am a father, and in the course, I have spent a reasonable amount of time researching vaccines in order to determine the most sensible cause of action for my daughter. I'm calling it the Five O'Clock Flu. Because that is the time of the evening that it hit each of our family (with the exception of Jason) in turn this weekend. But! I did discover that rubbing peppermint oil over your stomach can greatly reduce and help eliminate those nasty convulsions. Anyway, apparently today is Blog Action Day, meaning you blog about environmental stuff. I know I do that kind of thing all the time over here, and I don't have anything really specific to point out today, but I would like to introduce this terrific site that my friend Dawn found yesterday, called Path To Freedom. It's pretty amazing what this family has done with a 1/5 acre city residential lot. (It also makes me wish I lived someplace as warm as California so I could have garden-fresh produce all year round!) I read an article on there last night about ways to save water--simple little tricks that you can easily implement around the kitchen sink. I already started using them. Lots of great stuff on there. I, like so many people, have the best of intentions with using my cloth grocery bags--except all too often, I forget them in the van until I'm standing at the checkout with a loaded cart and three kids in tow--not too easy to run out and grab them. While you may not want to do this with a $300 order, today I only had a handful of things, and the bagger was happy to comply with my request of putting them back into the cart unbagged so I could transfer them once I got to the van. For a great reminder of how a small change like using cloth can make a big difference, check out this New York Times article. Okay, I gotta go get some rest now. Happy Monday, friends! (I just wish I could claim actual credit for the idea, instead of owning that I completely scraplifted this page from a Lisa Bearnson layout in Creating Keepsakes magazine.) The kids pictured with mine belong to my dear friend Dawn. Earlier in the week, I was pleased to see an article on the Newstarget site about the good and bad kinds of milk. In the past, I have been disappointed that Mike Adams has dismissed cow's milk carte blanche, instead of differentiating between what should and shouldn't be consumed, milk-wise. Well, it looks like the man has been educated, and other than his still very pro-vegetarian stance, I think he's pretty on-track as far as what is healthy to put into your body. For the low-down on processed & raw cow's milk, soy milk, and almond milk, please see the article. Also, if you would like to skip--or at least minimize--the effects of "cold and flu season," which many just take for granted, please check out this page on Dr. Mercola's website for an education on the benefits of a good probiotic supplement. If you have no really comprehensive probiotic available locally, you can purchase his probiotic, but if you are not on one already, I highly recommend that you get on one, NOW! I find my kids are much more resistant to the neighbourhood germs when I have them regularly (a few times a week) taking an infant acidopholus supplement, as well as taking Cod Liver Oil daily, especially in the winter. I highly recommend the Garden of Life brand of Cod Liver Oil--the taste is only mildly fishy, as compared to the green toxic goo many cod liver oils seem to resemble. My kids actually ask for it! Getting your kids to regularly consume kefir or live-culture yogurt (minus the sugar!) made from whole milk is another good way to keep those positive intestinal flora thriving. Anyhoo, in addition to these basic precautions as the "back-to-school" germ-exchange-fest comes on, you may want to consider using Oil of Oregano or Young Living's Thieves blend in a diffuser in your home to minimize air-borne bacteria, viruses, and fungi. While it is good to be exposed to a small amount of that, to keep your immune system up, those of us in northern climes too often find our immune systems not running under optimal conditions as the days get shorter and we spend more time inside, out of direct sunlight. A list of my favourite books for living and entertainment as of this writing. A list of my current favourite essential oils and their uses. Okay, so this is the point at which I pretend I haven't already been on blog-holiday for a week and half to say that I'm going on a holiday--a real one, and will not be posting while I am away. But here's an update on recent happenings before I go. Researchers discover moderate sunlight exposure helps prevent skin cancer: (NewsTarget) To the surprise of scientists, while exposure to the sun's UV rays is the main cause of skin cancer, a recent study says some sunlight also can help prevent it. The idea of sunlight helping prevent skin cancer may sound like a paradox, but the key is exposure in moderation, immunology scientists at Stanford University found. "The truth about sunlight is that sensible exposure actually prevents skin cancer, breast cancer, prostate cancer, depression and even osteoporosis," [Mike] Adams said. "Sunlight is more powerful than any drug; it is safe, effective and available free of charge. If it could be patented, it would be hyped as the greatest medical breakthrough in history. It's that good." For those of us in Northern climes, where good-quality sunlight is difficult to obtain for much of the year, a good cod liver oil supplement is imperative. Before you shriek and start trying to get the imaginary taste out of your mouth, I recommend the Garden of Life Olde Worlde Cod Liver Oil. It does not have the strong "fishy" taste that many of them do. In fact, my kids actually ask for it! I am totally NOT making that up! I have already discussed the possibility that perhaps sunblock is not that good for you. Who knew that you might be better off without the stuff that we have been indoctrinated into thinking was mandatory, and that what we have been told is gospel truth is actually just a bill of goods we were sold? That last thought applies to much more than sun and sunscreen. Makes you want to stop and think, doesn't it? The healing power of honey: From burns to weak bones, raw honey can help: (NewsTarget) Raw honey – which has not been pasteurized or filtered, and ideally taken directly from the hive – is a treasure chest of nutritional value and medicinal remedies. It contains an abundance of vitamins and minerals and is a natural and powerful medicine, both internally and externally. The list of honey's beneficial functions is a long one. Honey increases calcium absorption; can increase hemoglobin count and treat or prevent anemia caused by nutritional factors; can help arthritic joints, when combined with apple cider vinegar; fights colds and respiratory infections of all kinds; can help to boost gastrointestinal ulcer healing; works as a natural and gentle laxative; aids constipation, allergies and obesity; provides an array of vitamins and minerals; and supplies instant energy without the insulin surge caused by white sugar. Many have found raw honey helpful for its positive effects against allergies and hay fever, and one or two teaspoons last thing at night can help with insomnia. As an antiseptic, honey is also a drawing agent for poisons from bites or stings or infected wounds, and has outperformed antibiotics in treatments for stomach ulcerations, gangrene, surgical wound infections, surgical incisions and the protection of skin grafts, corneas, blood vessels and bones during storage and shipment. "Raw honey is exceptionally effective internally against bacteria and parasites. Plus, raw honey contains natural antibiotics, which help kill microbes directly. Raw honey, when applied topically, speeds the healing of tissues damaged by infection and/or trauma. It contains vitamins, minerals and enzymes, as well as sugars, all of which aid in the healing of wounds." So writes Dr. Cass Igram, D.O. in The Survivor's Nutritional Pharmacy. In a fascinating modern development, scientists and doctors are beginning to rediscover the effectiveness of honey as a wound treatment. In recent years, honey has been used effectively in clinical settings for the treatment of fist-sized ulcers extending to the bone, as well as for first, second and third degree burns. Complete healing has been reported without the need for skin grafts and with no infection or muscle loss. It can be applied full strength to such conditions, covered with a sterile bandage, and changed daily. When the wounds are clean, honey acts as a healer. This also is the same procedure for infected wounds, ulcerations and impetigo. Garlic honey can also be applied directly to infected wounds, which will help clean up the area of infection. Dr. Peter Molan, professor of biochemistry at Waikato University, New Zealand, has been at the forefront of honey research for 20 years. He heads the university's Honey Research Unit, which is internationally recognized for its expertise in the antimicrobial properties of honey. Clinical observations and experimental studies have established that honey has effective antibacterial and anti-inflammatory properties. Astonishingly, it painlessly removes pus, scabs and dead tissue from wounds and stimulates new tissue growth. "Randomized trials have shown that honey is more effective in controlling infection in burn wounds than silver sulfadiazine, the antibacterial ointment most widely used on burns in hospitals," explains Dr. Molan. Dr. Molan believes that if honey were used from the start in cases of septicemia, there would be far less tissue damage resulting. "The remarkable ability of honey to reduce inflammation and mop up free radicals should halt the progress of the skin damage like it does in burns, as well as protecting from infection setting in", says Dr. Molan. "At present, people are turning to honey when nothing else works. But there are very good grounds for using honey as a therapeutic agent of first choice." Researchers believe that the therapeutic potential of honey is grossly underutilized. With increasing interest in the use of alternative therapies and as the development of antibiotic-resistant bacteria spreads, honey may finally receive its due recognition as a wound healer. Indeed, it works: Raw honey makes a sterile, painless and effective wound dressing. Apply it directly to open cuts, abrasions and burns, and cover it with a piece of gauze. The results will occur quicker than with conventional alternatives, such as salves and creams. Honey is also exceptionally effective for respiratory ailments. One Bulgarian study of almost 18,000 patients found that it improved chronic bronchitis, asthmatic bronchitis, chronic and allergic rhinitis and sinusitis. It's an effective treatment for colds, flu, respiratory infections and a generally depressed immune system. Whereas sugar shuts down the immune system, a good quality honey will stimulate it into action. BURNS - Apply freely over burns. It cools, removes pain and aids fast healing without scarring. Apart from being a salve and an antibiotic, bacteria simply cannot survive in honey. BED WETTING - A teaspoon of honey before bed aids water retention and calms fears in children. INSOMNIA - A dessertspoon of honey in a mug of warm milk aids sleep and works wonders. HYPERACTIVITY - Replace all use of white sugar with honey. White sugar is highly stimulating with no food qualities. Honey provides the energy without the "spike." NASAL CONGESTION - Place a dessertspoon of honey in a basin of water and inhale fumes after covering your head with a towel over the basin. Very effective! FATIGUE - Dissolve a dessertspoon of honey in warm water or quarter honey balance of water in a jug and keep in the fridge. Honey is primarily fructose and glucose, so it's quickly absorbed by the digestive system. Honey is a unique natural stabilizer: Ancient Greek athletes took honey for stamina before competing and as a reviver after competition. FACIAL DEEP CLEANSER - Mix honey with an equal quantity of oatmeal, and apply as a face pack. Leave on for half an hour, then wash it off. Great as a deep cleanser for acne and other unwanted blemishes. POOR DIGESTION - Mix honey with an equal quantity of apple cider vinegar and dilute to taste with water. This is also wonderful for the joints – and promotes weight loss. HAIR CONDITIONER - Mix honey with an equal quantity of olive oil, cover head with a warm tower for half an hour then shampoo off. Feeds hair and scalp. Your hair will never look or feel better! SORE THROATS - Let a teaspoon of honey melt in the back of the mouth and trickle down the throat. Eases inflamed raw tissues. FOR STRESS - Honey in water is a stabilizer, calming highs and raising lows. Use approximately 25 percent honey to water. ANEMIA - Honey is the best blood enricher by raising corpuscle content. The darker the honey, the more minerals it contains. FOOD PRESERVATIVE – If you replace the sugar in cake and cookie recipes with honey, they'll stay fresher longer due to honey's natural antibacterial properties. Reduce liquids in the mixture by about one-fifth to allow for the moisture present in the in honey. BABY'S BOTTLE - Four teaspoons of honey to a baby's bottle of water is an excellent pacifier and multivitamin additive. If the baby's motions are too liquid, then reduce the honey by half a teaspoon; if too solid increase by half a teaspoon. (Caution: Don't give raw honey to babies under 1 year old; it's just too rich.) For teething, honey rubbed on a baby's gums is also a mild sedative and anesthetic. OSTEOPOROSIS – Research has shown that a teaspoon of honey per day aids calcium utilization and prevents osteoporosis – probably not a bad idea for anyone over 50. LONGEVITY - The most long-lived people in the world are all regular users of honey. An interesting fact, yet to be explained, is that beekeepers suffer less from cancer and arthritis than any other occupational group worldwide. MIGRAINE - Use a dessertspoon of honey dissolved in half a glass of warm water. Sip at the start of a migraine attack, and, if necessary, repeat after another 20 minutes. CONJUNCTIVITIS - Dissolve honey in an equal quantity of warm water. When cooled, apply as a lotion or eye bath. COUGH MIXTURE – Combine 6 ounces (170 grams) liquid honey, 2 ounces (55 grams) glycerin and the juice of two lemons. Mix well. Bottle and cork firmly, and use as required. Raw honey may become granulated, as some does after a week and another maybe only after several years. If the granulations bother you, simply place the honey into a pan of hot water (not boiling) and let it stand until becoming liquid again. 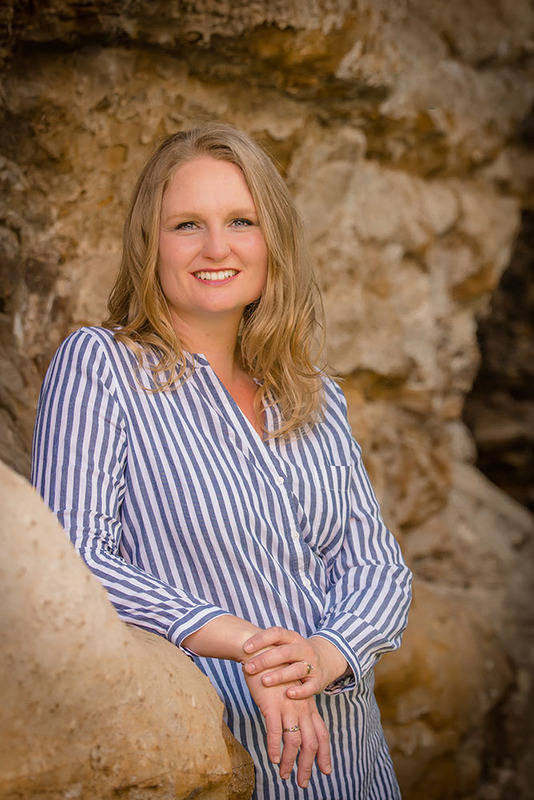 Kelly Joyce Neff has an interdisciplinary degree in Celtic Studies which includes work in cultural anthropology, history, linguistics, language, and literature. She is a traditional midwife and herbalist, a reiki master, and an active craftsperson. She lives in San Francisco.